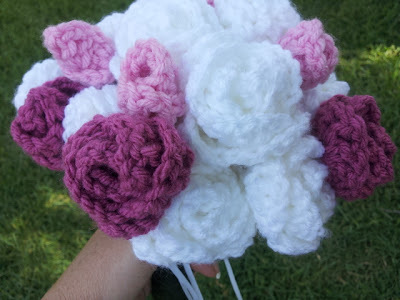 Flowers make a great addition to many crochet projects. They are so simple to make! I add flowers to many of my pinafore dresses and hats. I have found an excellent video tutorial on how to make rosebud flowers. These are great for making everlasting bouquets and flower arrangements. They can also be used in a variety of craft projects. I hope you enjoy the video provided by eHow. To follow the blog in a reader, I highly recommend Bloglovin'. You can subscribe to your favorite blogs and get updates in the Bloglovin' reader online, on your smart phone or by email. Poochie Baby's posts are separated into categories. You can subscribe to get ALL posts or to just certain categories that interest you. 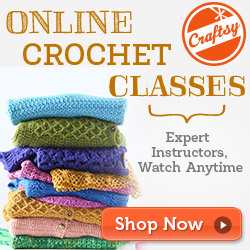 All posts related to crafty things or planning..... but I do know that not all crocheters are interested in stationary and not all planners are interested in crochet! 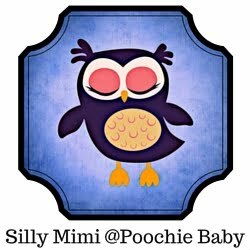 Poochie Baby's Newsletter Signup: Get all the latest scoop and special offers when available. Have a great day and don't forget to share this with your friends! Please feel free to share this pattern on Pinterest, Facebook, Twitter, Google+ or any other social networking site. The share buttons are just below!